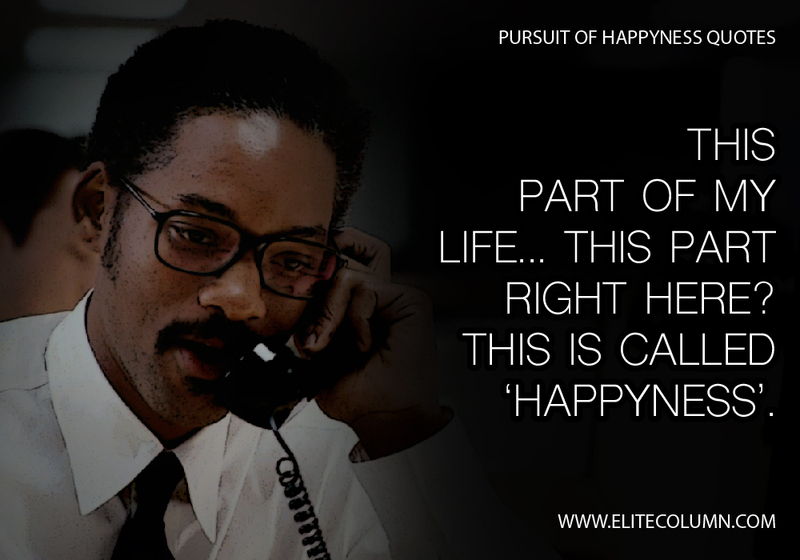 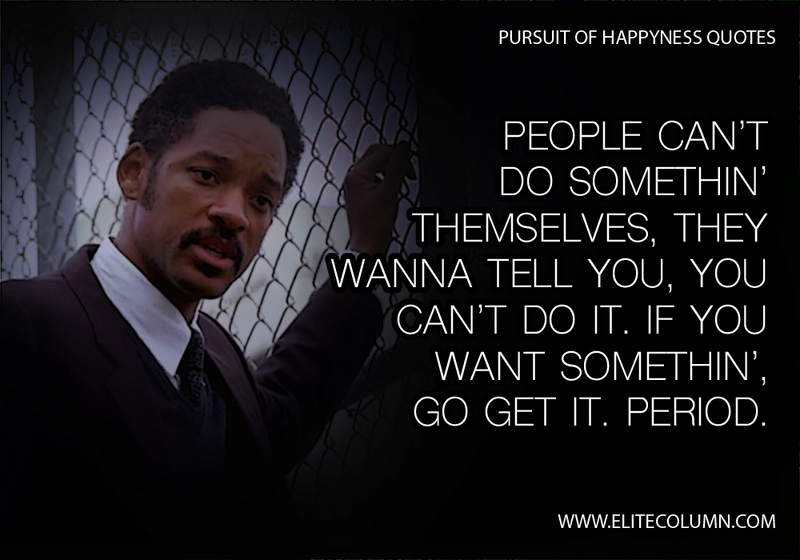 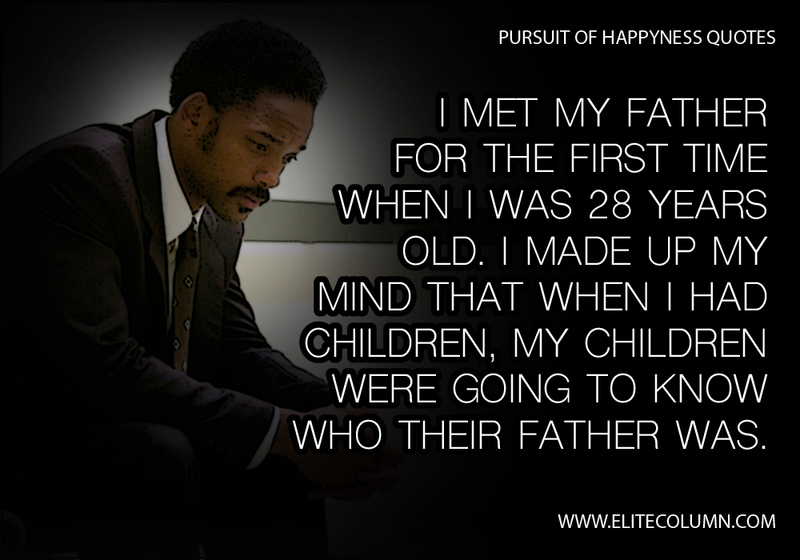 Based on Chris Gardner’s life story, Pursuit of Happiness is one of the most apt biographical drama films. 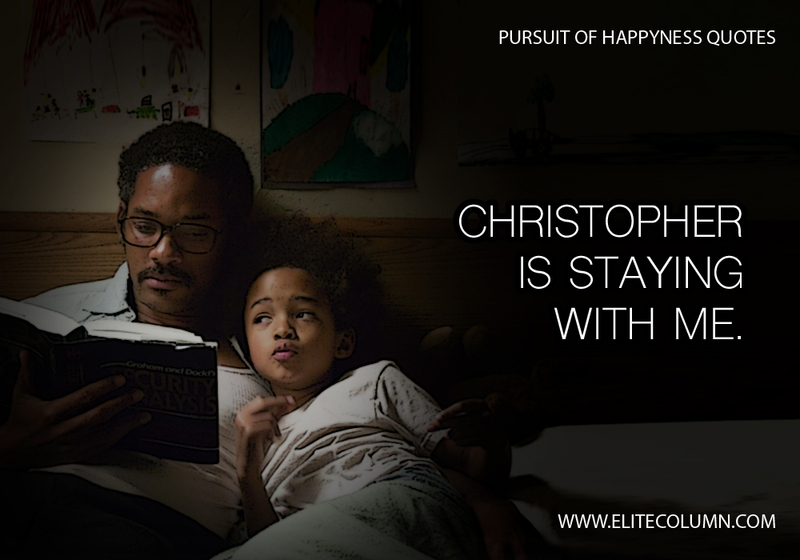 The weird spelling of ‘Happiness’ in the title comes from a mural that Gardner sees outside his son’s day-care and he complains that ‘happiness’ is incorrectly spelled as ‘happyness’ and needs to be corrected. 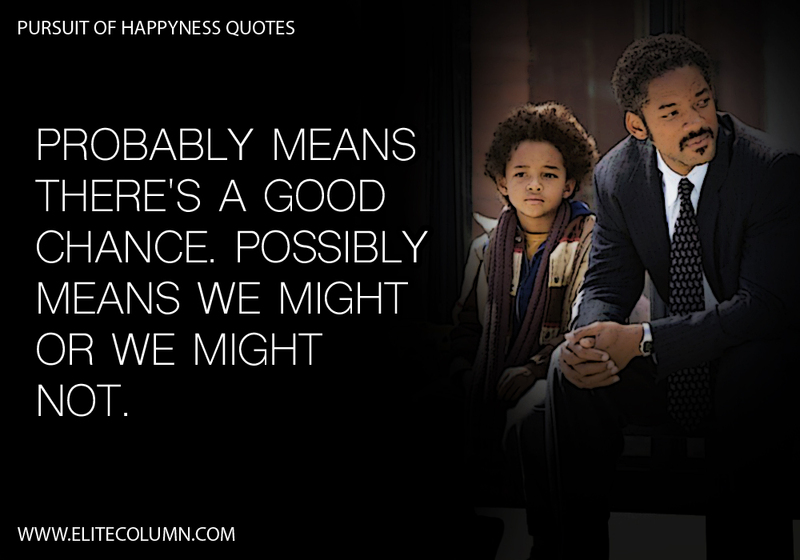 The movie clearly set apart a new standard towards depicting an emotion capable of making an individual feel motivated and focus on life. 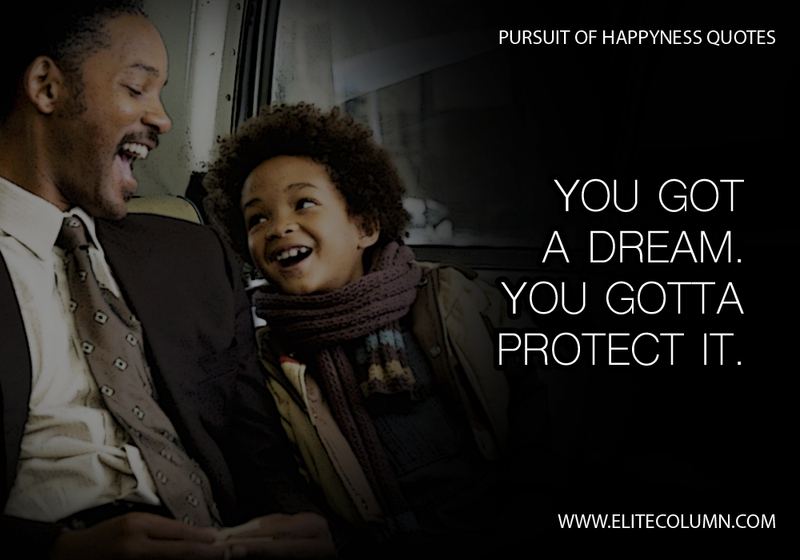 EliteColumn has hand-picked some of the best quotes from the movie. 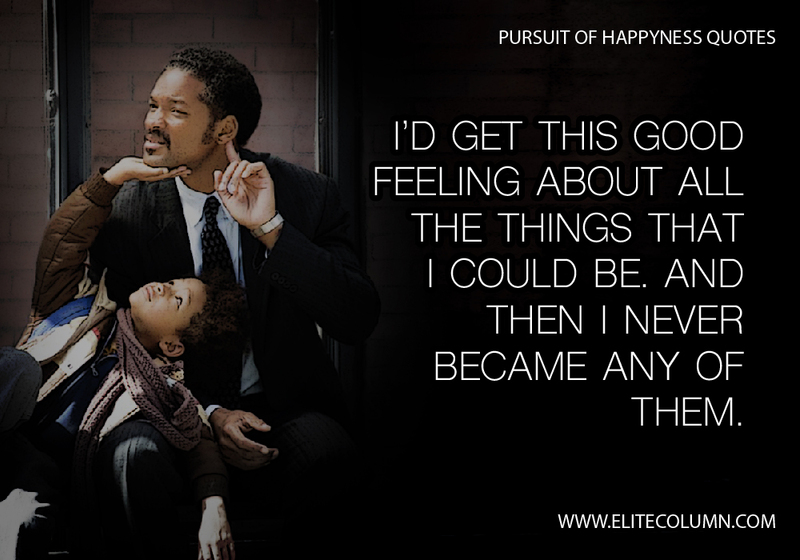 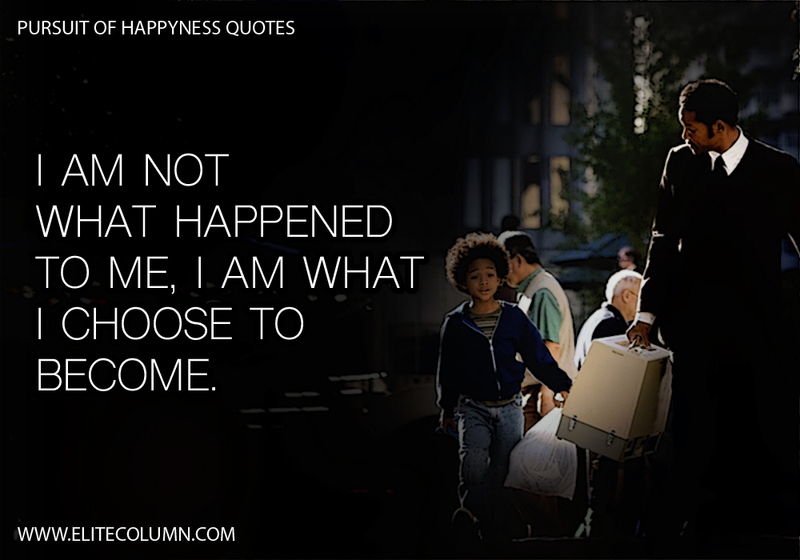 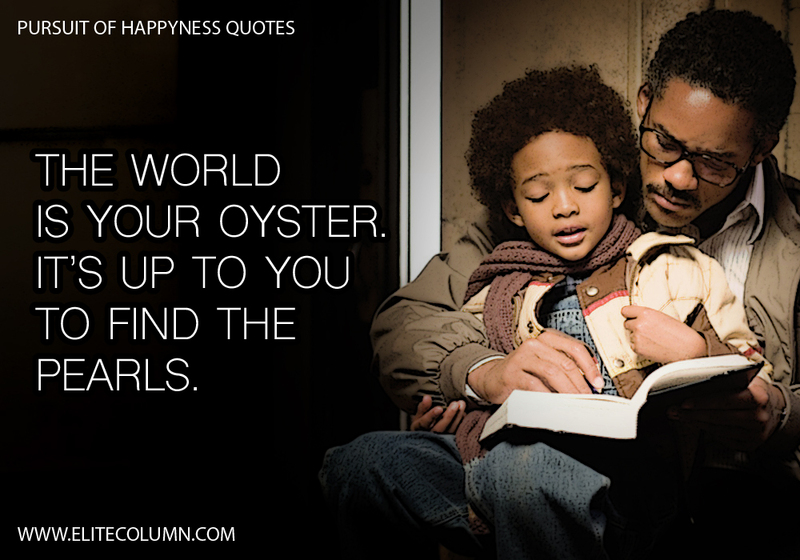 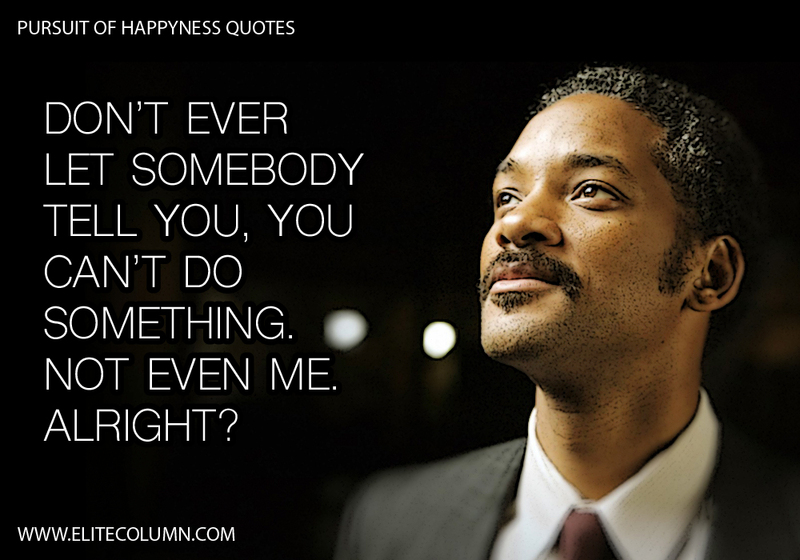 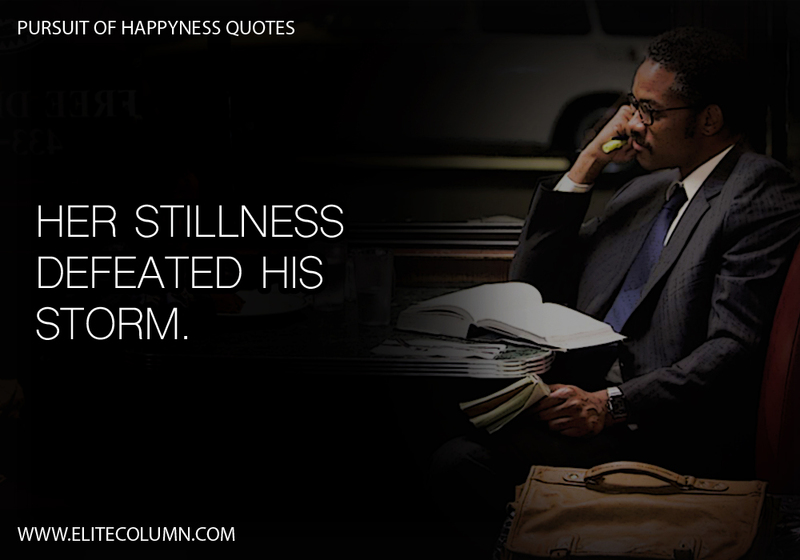 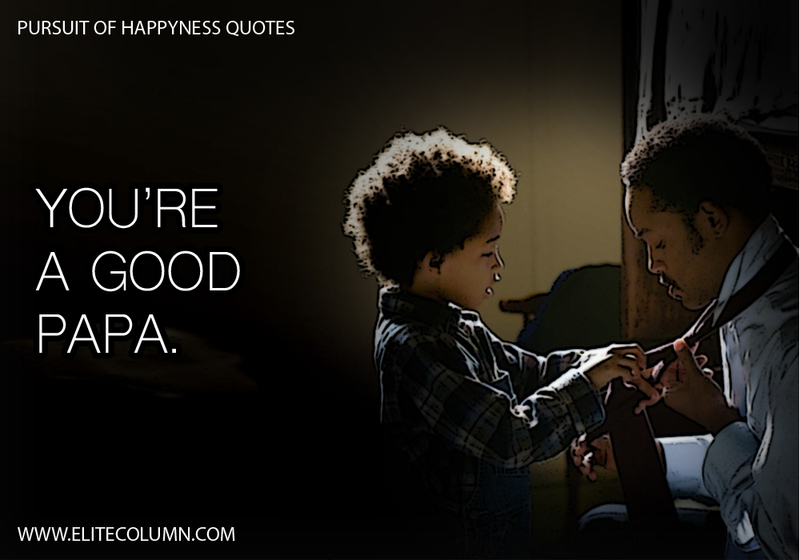 Take a look at these mind-blowing Pursuit of Happyness quotes to make you rethink about life.